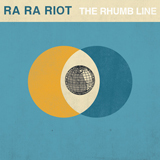 With their debut album, The Rhumb Line, set to drop on August 19th on Barsuk records, Ra Ra Riot have just announced a big fall headlining tour with Sony recording artist, Walter Meego. For those of you in NYC, you can also catch Ra Ra Riot at the Siren Festival on July 19. All Ra Ra Riot fall tour dates after the jump.